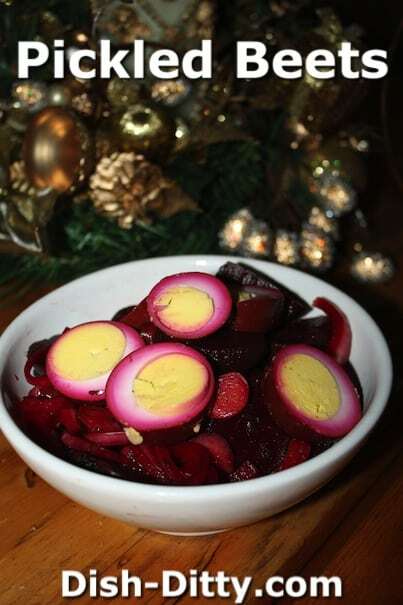 Another family classic recipe is this Pickled Beets Recipe from my Mom Cherri’s Collection. Honestly, I’m not a huge fan of beets, so this isn’t my favorite, but many of my siblings just love this recipe. 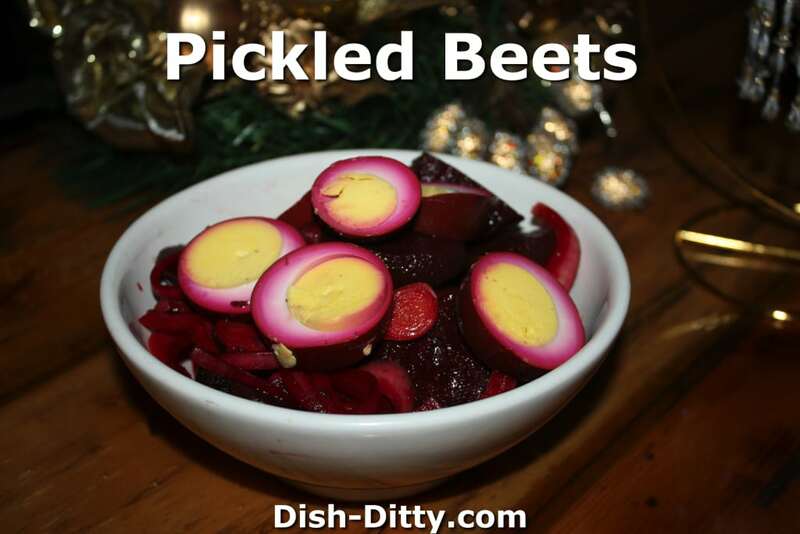 So, in honor of my Mom and my siblings, here’s our family pickled beets recipe. Use Cider Vinegar instead of White Vinegar for a subtler flavor. Want to be fancy? Finish it off with some Cherry Vinegar. Add some peppercorns and cloves. My sisters don't put in sugar, but my mom used to put in a little. Wash and cook the raw beets in water until tender. Cool. Skin the beets and slice. Put the beets in a large bowl. Add the sliced onions and eggs. Add enough vinegar to cover the beets and add sugar to taste. 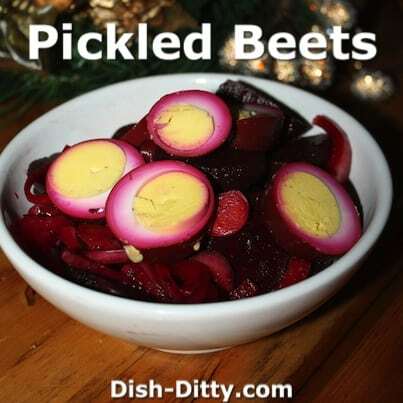 No Replies to "Pickled Beets Recipe"